GTECH G2 announced today that it has entered into a partnership with MARCA, the leading sports newspaper in Spain. GTECH G2 will provide players with a full sports betting solution using its Margin Maker software hosted on MARCA’s website. GTECH G2’s agreement with Spanish publishing group Unidad Editorial, which also owns the El Mundo and Expansión newspapers, will see MARCA provide wagering opportunities through in-play betting and a suite of gaming products. Net Entertainment, the world’s leading provider of high-quality casino games, announces the release of its latest two new mobile games; Frankenstein and Jack Hammer 2 Touch™. Net Entertainment continues to add to its world leading Touch™ mobile portfolio and the launch of Frankenstein and Jack Hammer 2 Touch™ maintains the tradition of innovative and exciting games which offer players unparalleled user experiences. Jack Hammer™ is one of Net Entertainment’s most popular games and now Jack Hammer 2 Touch™ makes its debut with an astonishing 99 bet lines, rich cartoon-style graphics and bundles of additional Free Spin rounds. A new user-friendly interface gives players a brilliant mobile gaming experience superior than anything seen before. In association with Universal Studios Licensing LLC, Frankenstein is the latest branded browser based mobile game from Net Entertainment. 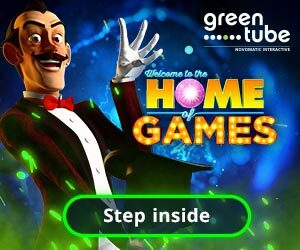 Borrowing the creepy themes from the classic tale of Frankenstein’s monster, the latest ground-breaking feature has the first ever use of Linked Wild™ symbols in a video slot which will ensure player excitement and anticipation of multiple substitution wins on each game round. Bavaria’s nine casinos are refreshing their slot machine offering with a wide range of new OXYGEN™ machines from SPIELO International. Installations are already underway, and they should be completed by the end of this year. In all nine Bavarian casinos, the old house-jackpot machines are being replaced by OXYGEN cabinets with KiTTY CASH™ as the featured game. Furthermore, “Bayern-Jackpot” machines have now been replaced by OXYGEN cabinets featuring the Mermaid’s Spell™ multigame with a specially developed pay table, where the top award symbol has been changed to the Bavarian Lion in honour of the region. The former car-jackpot slot machines located in Bad Wiessee, Feuchtwangen, Bad Kissingen and Garmisch-Partenkirchen casinos have been replaced by OXYGEN machines featuring the popular HOT & WiLD™ game suite. These machines offer a car as the top prize. Other SPIELO International machines have been installed in various locations featuring games such as Master ROULETTE™ and MULTi CHANCE KENO™, as well as the diversity™ multigame suites and core games. These machines are already showing very positive performance figures. Bally Technologies, Inc. announced today that Ramesh Srinivasan will become President and Chief Executive Officer and Board Member effective by December 31, 2012. Current Chief Executive Officer Richard M. Haddrill will become Chairman of the Board. Haddrill joined Bally as Chief Executive Officer in 2004, after serving as Chief Executive Officer of two successful public companies. Under his leadership Bally has doubled revenues and increased the share price almost four fold. Srinivasan joined Bally in 2005 as Executive Vice President of Systems and was responsible for shaping Bally’s Systems business into the industry leadership position. He was promoted to President and Chief Operating Officer in March 2011, assuming leadership for worldwide games, systems, and customer service. Under Srinivasan, Bally has positioned itself well to capitalize on the convergence of the games and systems businesses as well as emerging mobile and iGaming platforms. Previously he was a senior executive at supply chain software company, Manhattan Associates, Inc.
Merkur Gaming took a major stand at the Slovak Show that took place at the Incheba Expo in Bratislava between 25th and 26th October. 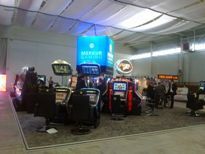 Once again Merkur Gaming exhibited in force at a local gaming exhibition. Merkur Gaming made great use of this exhibition to present game selections especially designed for the Slovakian market. Indeed two new game selections were introduced to the market. 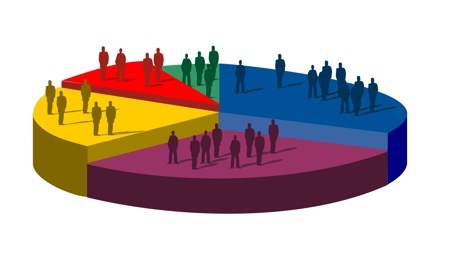 Therefore, Merkur Gaming is continuing in its strategy of investing in market research to understand local needs and cultures to then thoroughly design these into new games. The results speak for themselves. The two major cabinet choices – the upright Privilege and the slant top Evolution both took prime place on the stand. The first day was particularly busy with many visitors interested to see the cabinets and games of Merkur Gaming ‘made in Germany’. The majority of visitors came from Slovakia and the Czech Republic. “Our investment in local exhibitions underlines our commitment to each and every individual gaming market and segment. Gaming operators know that with us they are working with a trusted partner who is willing to invest in developing right solutions for the local markets. We have the experience and financial strength to create innovations that players will embrace. The feedback from visitors to our stand at the Slovak Show showed us that we are on the right track”, concluded Mr. Thomas Niehenke, COO of the Gauselmann Group. 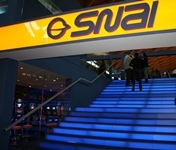 The Board of Directors of Snai S.p.A. met in Milan under Giorgio Sandi’s chairmanship and approved the consolidated interim report for the Group as of 30 September 2012, setting forth third quarter revenues of Euro 105.7 million and third quarter Ebitda of Euro 4 million and, for the first nine months of the year, revenues of Euro 369.5 million and Ebitda of Euro 38.3 million. As compared with the first nine months of 2011, 2012 has been marked primarily by a higher payout for sports bets, a factor which has affected the entire Italian market, which has had an adverse effect on both revenues and EBITDA for the period. With respect to forecasts, moreover, the continuation of the block on the Barcrest VLT platform has given rise to reduced growth in this product segment. Mostly for these elements, the revenues for the first nine months of 2012 amount to Euro 369.5 million, down 8.7% with respect to the same period in 2011 (Euro 404.9 million). The payout for sports bets which rose from 79,7% in the first nine months of 2011to 84% in the same period of 2012, has led to a reduction in revenues of approximately Euro 27 million. This was coupled with a 6.7% decrease in wagers. Wagers have been showing a downward trend also for horse race betting due to the continuation of the crisis affecting such segment. However, Snai’s market share in the VLT segment has risen to 4%of the relevant market. Ebitda amounts to Euro 38.3 million down from Euro 56.1 million reported in the same period in 2011, essentially on account of the above-mentioned reduction of revenues by Euro 27 million, caused by the unfavorable variation in the payout, which was particularly concentrated in the month of September. The growing contribution of VLTs and remote gaming continues, even if the unavailability of the Barcrest platform limits the number of machines wagering with respect to the full potential of SNAI’s network. For the same reasons, Ebit is negative in the amount of Euro – 8.4million, as compared with the positive amount of Euro 7.4 million generated at the end of the first nine months of 2011. The results of operations for the first nine months of 2012 therefore show a loss of Euro 24.7 million, as compared with the loss of Euro 17.2 million registered in the same period last year. The net financial position as of 30 September 2012 amounts to Euro 362 million, up 2.1% from the amount of Euro 354.4 million registered at the end of 2011. A delay in collections from ASSI/Unire and from retailers has contributed toward this variation. A collection of more than 8.2 billion euros in 2012 compared to 2011, but the significant datum is that against an increase of 9 billion euros in winnings, the expense of players is even decreased of 600 million euros. The first 8 months of collection of AAMS public games affirm that the collection significantly increase (+16.6%), the winnings significantly grow (+23.8%) and we point out a decrease of 4.7% of the expense. Is sure that players are smiling because they see going back 45 billion euros on the 56 played but, of course, the operators and the revenue see pass more money but even less money remains. In particular the entertainment machines remain the princes of collection with 31.2 billion euros for the entertainment machines with VLTs that add 13 billions, almost the double of 2011. Bettings and Lotteries remain stable, Bingo falls, Lotto falls a lot and Superenalotto significantly falls (it decreases from 1.65 billions to 1.25). Super boom for cash game and online casinos from 1.5 billions to 8.4 billions with a consequent decrease of skill games and poker tournaments from a collection of 1.8 billions to 859 millions. There is a curions comparison between the expenditure of skill games and the one of cash game. 103 millions for the Skill and, compared with nearly 10 times of collection, cash is making ‘spend’ just 234 million euros, giving 8.1 billion euros in winnings. In July 2012 in Italy 1.161 billion euros have been spent for public gaming, a figure obtained subtracting winnings to total collection, which in the month in question has been of 6 billion and 213 million euros. The devices, AAMS announces, collected 3 billions and 513 million euros from the devices (vlts contributed for 1.337 billion euros to the 3.513 billion euros mentioned). At the second place, as regards the collection, there are card games organized in a different way from the tournament and games of chance with fixed share, with a collection of 918 million euros, followed by lotteries with 696 millions and lotto with 491 millions. The collection, compared to July, was slightly lower than in August when, as announced by AAMS, it has been of 6.003 billion euros. On the contrary the expense of players grows, with a balance of 1.162 billion euros. Even in August the devices are leader of collection, with 3.279 billion euros (with 1.223 billions went back into the pockets of players as winnings), with vlt that collect 1.223 billion euros for winnings of 1.082 billion euros and an expense of players of 141 million euros. Card games organized in a different way from the tournament and games of chance with fixed share follows, with a collection of 913 million euros, winnings of 88 millions and 25 million euros of expense. Lotteries follow with a collection of 737 million euros, 520 millions of winnings and 41, and once again lotto is at the third place with a collection of 465 million euros, winnings of 291 million euros and an expense of players of 174 million euros. Even in August, the base-horse games are confirmed as the tail ender: the collection has been of 72 million euros, 51 of them given back in winnings. The entertainment sector in Turkey has been transforming rapidly in recent years. Whilst Lunaparks are slowly fading, Theme Parks’ era begins. Consequently this very state led sector’s professionals to look for new ideas for Theme Park projects. Atrax Expo, tu fulfil this requirement is getting ready to bring each and every kind of entertainment to Istanbul. 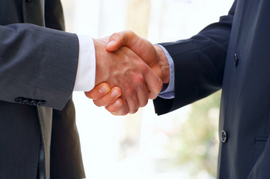 The fair that is being organized by Tureks International Fair Co. will gather leading companies of the sector. 200 firms from across 28 countries will be presenting their latest products to their estimable guests and future clients. Atrax Entertainment, Activity and Park Expo that will be held for the first time in Turkey at Yeşilköy İstanbul Expo Center between December 6-9 2012, aims to reach a remarkable number of visitors with it’s strategical location in İstanbul. The organization expects a resounding success as a showroom of a wide range of attraction/entertainment products. An uprising market in entertainment sector – As being the only sectoral entertainment fair of Turkey as well as the region, Atrax will host numerous company represantators and investors from Balkans, Africa, Middle East, Russia, Arab Emirates and Turkic Republics as visitors. Turkey, the candidate to become one of the greatest economies of the world, being in a breakthrough development, provides a fruitful base for global inverstors that quest for new business opportunities via reputable international organizations such as Atrax. For the first year of the fair, the main theme has ben set as “theme parks”. And hopefully Atrax will become a reference point for future theme park projects that are being built in various cities of Turkey. THIRD-QUARTER CONSOLIDATED RESULTS – for the third quarter ended september 30, 2012, revenues totaled €740.2 million, compared to €740.9 million in the third quarter of 2011. Strong revenue growth in the GTECH Lottery and SPIELO International segments was offset by lower revenues in the Italian Operations segment resulting from a lower incidence of Lotto late number wagers, unusually high sports betting payouts, and the anticipated increase in video lottery terminal (VLT) taxation. EBITDA increased 3.8% in the third quarter of 2012 to €246.0 million versus €237.0 million in the same period last year. At constant currency, EBITDA was €240.1 million. Operating Income was €134.5 million in the third quarter, compared to €129.4 million in the third quarter of last year, up 3.9%. Interest expense was down 9.3% to €38.2 million in the third quarter of 2012 versus the same period last year, primarily due to lower average debt balances. Net income attributable to the parent was €48.9 million in the third quarter of 2012 versus €58.5 million in the third quarter last year, when a €29.7 million non-cash foreign exchange gain was recorded. Diluted Earnings-Per-Share (EPS) was €0.28, compared to €0.34 in the same period last year. When adjusted for purchase-price accounting and foreign exchange impact, net of tax, pro forma EPS was €0.35, up from €0.29 in the 2011 third quarter. At September 30, 2012, Consolidated Shareholders’ Equity totaled €2.64 billion. 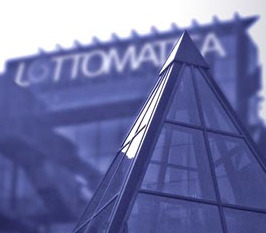 Lottomatica Group had a Net Financial Position (NFP) of €2.62 billion, compared to €2.74 billion as of December 31, 2011. ITALIAN OPERATIONS – Revenues from Italian operations were €406.5 million, compared to €458.5 million in the third quarter of 2011. Despite a challenging market environment in Italy, the overall business performance was good. A number of events impacted top line performance including lower late number Lotto wagers, higher sports betting payouts, and higher taxation on VLTs. While underlying Lotto wagers, including 10eLotto, were stable, overall Lotto wagers for the quarter were €1.47 billion compared to €1.75 billion last year. Lotto late number wagers in the third quarter of 2012 were €121.9 million, compared to €401.1 million in the third quarter of 2011. In the third quarter of 2011, a higher incidence of late numbers occurred which did not recur in the third quarter of 2012. Instant-ticket wagers were in line with expectations at approximately €2.24 billion in the quarter, compared to €2.39 billion in the same period last year. Approximately 480 million Scratch & Win tickets were sold in the quarter, with an average price point of €4.65. Lottomatica continues to optimize its retail network as well as diversify its instant-ticket games portfolio. The Company introduced a new €10 and €5 ticket in September and October, respectively. Early performance of both games is encouraging. Revenues from Sports Betting in Italy were €15.0 million due to unusually high sports betting payouts, partially offset by an 11.7% increase in wagers. The approximate 90% payout in the third quarter was the result of several unfavorable soccer match outcomes in September. Revenues from Machine Gaming were €156.2 million versus €167.1 million last year. Revenues were impacted by the 4% gaming tax on VLTs, up from 2% last year, resulting in a €35 million tax impact in the 2012 third quarter. Machine gaming wagers grew 3.0% in the third quarter to €2.87 billion from €2.79 billion in the same period last year. At September 30, 2012, approximately 64,100 AWP machines and 10,600 VLTs were installed. Interactive wagers totaled €485.4 million, compared to €533.0 million in the third quarter of 2011 when there was an initial launch of new games including Poker Cash and Casino games. GTECH LOTTERY – GTECH Lottery revenue for the third quarter of 2012 was up 15.4% to €261.1 million compared to €226.3 million last year. On a constant currency basis, revenues grew by 5.6%. GTECH Lottery U.S. same store service revenue grew 7.4% in the third quarter of 2012 versus the same period last year. GTECH benefited from continued growth of instant-ticket sales which increased 11% year-over-year, driven by instant-ticket sales in California, Illinois, and Texas. International Lottery same store service revenue grew 7.7% compared to the third quarter of last year due to strong performance in Colombia and the U.K., as well as the positive sales impact from GTECH’s customer in the Czech Republic. During the quarter, GTECH announced and/or signed contract extensions with customers in South Dakota and Arizona, as well as signed new contracts with lotteries in New Zealand, Argentina, and Lithuania. Shortly following the close of the third quarter, GTECH signed a 15-year Integrated Services agreement with the Hoosier Lottery in Indiana. SPIELO INTERNATIONAL – Third-quarter revenues for SPIELO International were up 25.6% to €82.7 million when compared to the same period last year, primarily due to higher product sales in Canada and Sweden, as well as favorable foreign exchange. During the quarter, SPIELO International increased its market share in Canada by finalizing VLT and/or central system replacement agreements with Western Canada Lottery Corporation (Saskatchewan), Manitoba Lotteries, and Atlantic Lottery Corporation. To date, SPIELO International has secured all five central system awards and all four VLT awards in Canada. A fifth VLT award is in its final approval stage.